This is Mahon's favorite meal ever. I haven't made it a lot in the last two years because I've really stopped using cream of chicken soup base, and don't make a lot of casseroles at all, but I made it the other day for his birthday and came up with a way to do it canned-soup-free. It's still not what I'd term a "health food," and the Ritz crackers on top still (obviously) put it squarely in the camp of "processed food." Though I have to say, unhealthy as they may be, the crackers really make the meal. Seriously. So good. This recipe yields a small-ish casserole and would serve about 4-5 adults. Heat oven to 375. Cube thawed chicken and place in medium casserole dish. In small saucepan over medium heat, melt 2 T butter. Whisk in flour and cook, stirring constantly, till bubbly and thick (about 1-2 minutes). Whisk in milk and let cook another 2 minutes or so (mixture will thicken quickly; stir constantly to keep it smooth). Add chicken broth, parsley, pepper, and salt, and cook, stirring frequently, for 2 more minutes. Pour over chicken in casserole dish. 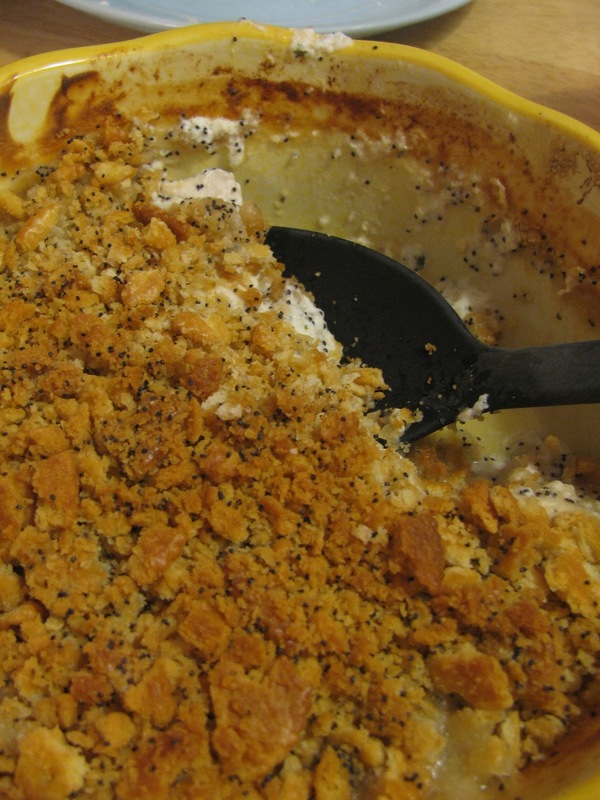 Add sour cream and 1 T poppy seeds; mix everything together until creamy and well-combined. Cover dish with foil and bake for about 45 minutes, or until sauce is bubbly and chicken is cooked through. While chicken is cooking, crush Ritz crackers in medium bowl and add remaining 3 T butter and 1 T poppy seeds. (If the butter isn't soft, go ahead and stick the whole bowl in the microwave for about 30 seconds.) Mix everything together. When chicken is cooked through, remove foil and sprinkle cracker mix on top and bake for an additional 10 minutes. Serve over rice. Words cannot describe how amazing these muffins are! Everyone I have made them for has begged for the recipe. They are seriously delicious! I also have found that you can replace at least 3/4 cup of the white flour with wheat flour without changing the flavor or texture much. Since I don't usually have buttermilk on hand, I substitute it. My favorite combination has been using half regular milk and half plain yogurt—this combo makes the muffins SO incredibly tender and fluffy! I've also used soured milk (just under 3/4 cups milk with about a teaspoon of vinegar, allowed to stand for about 5 minutes) and that worked just fine. Also, I've adapted the original recipe so that it only uses 2 bowls instead of 1. Preheat oven to 400 degrees. Spray muffin tin with nonstick cooking spray. In medium mixing bowl, combine egg, buttermilk, and oil and beat with a fork or whisk until thoroughly combined. Gently scoop flour, sugar, baking powder, zest, and salt into the bowl so that they lie on top of the wet ingredients. With your fork, gently whisk dry ingredients together; when they are somewhat combined, go ahead and mix everything (wet and dry) in the bowl together until just combined. In smaller bowl, mix 1 T each flour and sugar. Add in blueberries and stir together until blueberries are coated with flour mixture. (This helps keep your blueberries from turning the whole batter purple!) Fold blueberries into batter. Spoon batter into prepared muffin tin. In the same bowl that the blueberries were just in, add sugar, flour, and cinnamon for streusel topping. 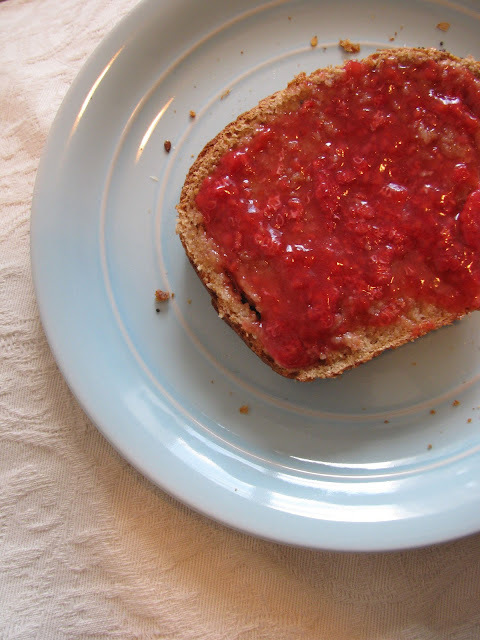 Cut in softened butter with a fork until topping is moist but crumbly. 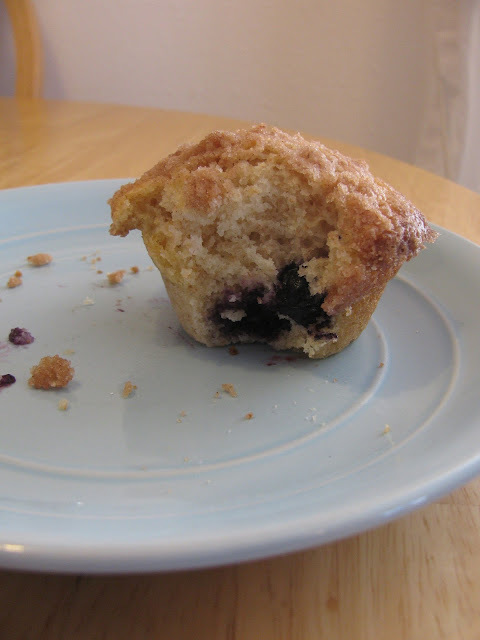 Sprinkle streusel over muffins (about 1/2-1 t. each). Bake at 400 for 18 minutes or until a toothpick inserted in the center of a muffin comes out clean. Allow to cool on a cooling rack still in the pan for about 5 minutes, then transfer to the cooling rack by itself. (If you can resist eating one immediately out of the oven!) Enjoy!